Welcome! This is a 4-part series exploring the black-white racial empathy gap in the United States. It is not intended to be a comprehensive treatment of the subject (which would require a book series rather than a blog series), but it is a substantial sociological and historical survey of the issue and is intended to provide talking points for individual and small group discussion. Drawing from the 2010 Census, this map shows one dot per person. 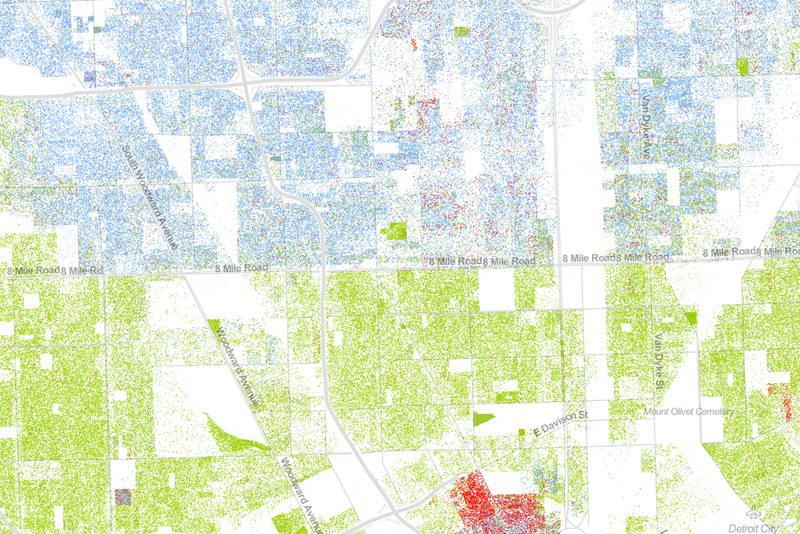 White people are shown with blue dots; African-Americans with green; Asians with red; and Latinos with orange, with all other race categories from the Census represented by brown. Pictured here: Detroit.